At the start of 2014, I spent 6 months creating the first of what will be many short animated stories. The first of which is this 3 minute animation about a playful pet dragon who just can't make things go his way. As the opening titles suggest, this is the first of many 'Lynks Short' animations which all take place within my on-going Afterdark animated series. This is the first official animation from the series and also is the focal point of my new Afterdark Studios website, which will feature all my new animations and updates to do with the larger universe as I create them. My next move is to create a new short animation featuring other more serious characters as Lynks provides the comic relief within the much darker parts of the series. 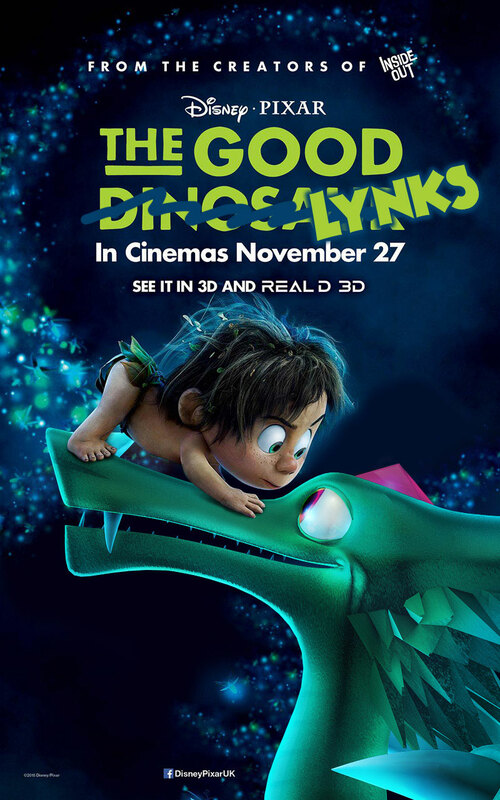 And for a bit of fun, when The Good Dinosaur was released, I made this spoof poster.